Used 7-seater MPVs tested: Ford S-Max vs Seat Alhambra vs Vauxhall Zafira Tourer | What Car? 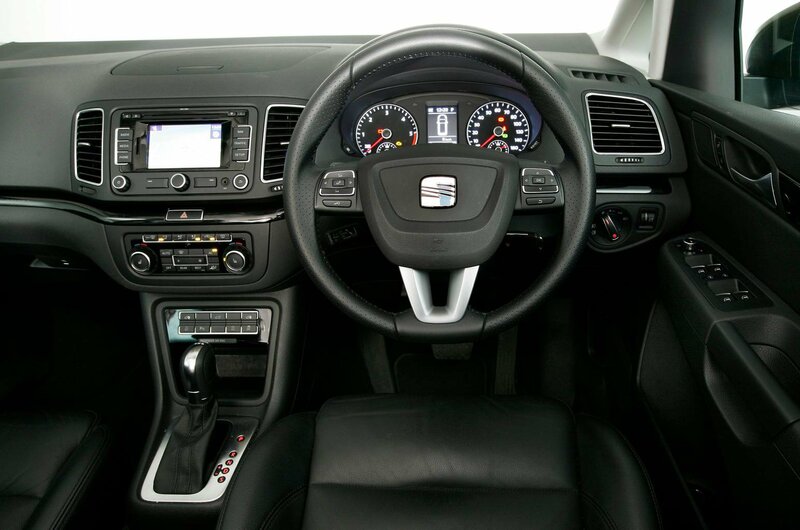 From the driver’s seat, the Seat Alhambra looks the classiest, while the huge windows and high roof give the cabin an airy feel. The materials are classy, too, although lower down, the emphasis is on durability rather than desirability. That’s an accusation you can level at all three cars, mind you. One of the Alhambra’s biggest selling points is sliding side doors; they leave a wide, square opening, which makes this the easiest car of the three to get into and out of. Plus, if you need to transport seven people, this is the best of the three for the job. It’s also very easy to do all the seat-folding tricks on the centre row, while the boot is generous, but the Alhambra isn’t without its drawbacks. Moving the rearmost seats is an awkward job, and their bases need to be flipped over. 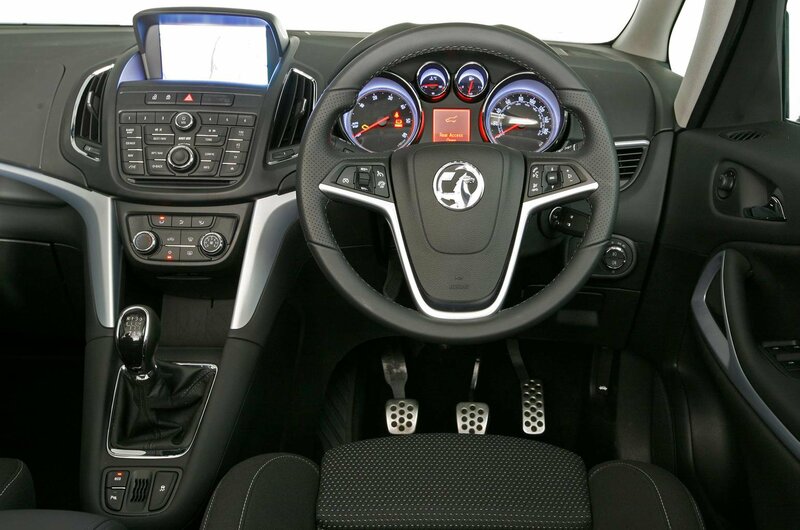 The Vauxhall Zafira Tourer’s driver is also faced with a classy-looking dash and supportive seats. However, the Zafira has less storage around the driver than the Alhambra. In the rear, too, the Vauxhall gives second best. First it’s harder to get into and out of, because the prominent mouldings on the door make it difficult for passengers to squeeze their feet in, especially if they can’t open the door fully. The Zafira also isn’t as good a seven-seater as the Alhambra; the rearmost seats aren’t very accommodating, so sitting people in them demands significant compromises of those in the middle row. The Vauxhall isn’t the best five-seater, either, because the centre seat in the middle row is narrower than the outer two and the seats are flat. However, it is the easiest car here to swap between the various seating permutations. The Ford S-Max strikes the middle ground in the rear. Compared with the Zafira, it’s easier to get into and out of. It’s also a better five-seater, because all three middle-row seats are the same width. However, it’s not as spacious as the Alhambra, and performing all the seat-folding tricks can be very awkward, because the seats are very heavy. 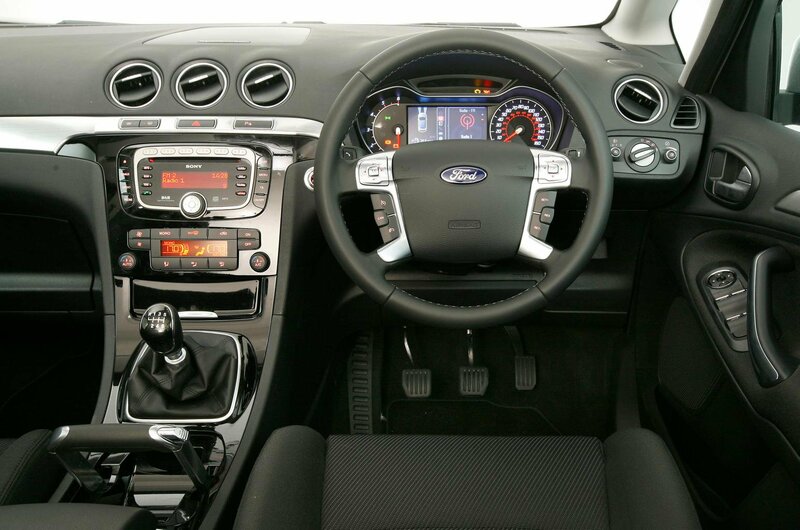 For the Ford driver, the view is rather different, with most of the information presented in a display between the dials. It means the driver has only to drop their eyes down, whereas you have to shift your gaze to the side as well in the others.